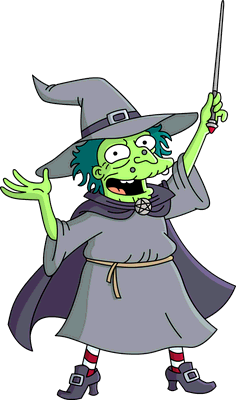 The witch is a witch who visited Springfield. 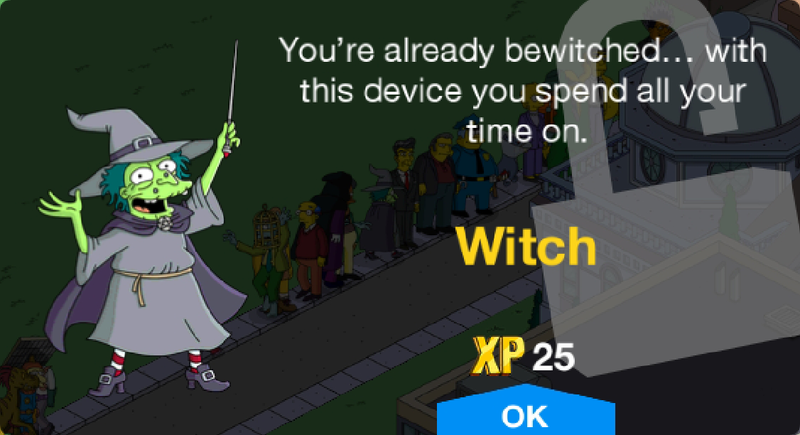 The Witch entered a Halloween costume contest was the winner, but after revealing that she isn't wearing a costume, and is really a witch, she is disqualified and her prize is taken away. In revenge, she turns everyone into the actual characters that their costumes are, and flies away on her broomstick. Her eye sometimes springs off her face. Modified on November 17, 2018, at 17:20.